The Every Student Succeeds Act (ESSA) prioritizes the need for expanded access to comprehensive school psychological services within multitiered systems of support (MTSS). MTSS is an evidence-based framework for effectively integrating multiple systems and services to simultaneously address students' academic achievement, behavior, and social-emotional well-being. Furthermore, MTSS is a strategy for improving outcomes for all students and for creating safe and supportive learning environments free of bullying, harassment, and discrimination. School psychologists are critical assets necessary for successful implementation of MTSS. Specifically, school psychologists can assist in the selection of evidence-based curricula and interventions, administer psychometrically sound universal screening and progress monitoring tools, support fidelity of intervention implementation, and facilitate appropriate data analysis and interpretation. ESSA provides greater flexibility to states in determining specific practices and service delivery models to improve school climate, increase school safety, and expand access to comprehensive learning supports. MTSS enables the integration of multiple school improvement efforts and represents an effective strategy to accomplish the following goals. Support students' mental and behavioral health. Implement effective discipline policy and practice. Importantly, ESSA recognizes the effectiveness of MTSS. States and districts can use various funding streams (e.g., Title I, Title II, and Title IV) to support the implementation of MTSS and provide all school staff with the necessary and ongoing professional development. MTSS is not a prepackaged, one size fits all program. Rather, it is a framework for providing comprehensive systems of differentiated support based on the unique needs of individual schools and districts. The proactive premise of MTSS works by striving to prevent school failure, and by addressing academic challenges in a responsive way. The following are essential components in developing, implementing, and sustaining effective MTSS frameworks in schools. Varying levels of support (tiers). Students receive varying levels of support in three tiers. Tier 1, or universal supports, typically refers to services available to all students (e.g., wellness/skills promotion and school-wide programs). Tier 2 services (targeted supports) are available to some students identified as needing some additional services (e.g., small group counseling, tutoring, targeted behavioral skills training). Tier 3 refers to more intensive services for individuals or small groups and is usually limited to a small percentage of students (e.g., individualized instruction, intensive therapy, wraparound services). Screening. School-wide multileveled instructional and behavioral systems must be grounded in data-eliciting methods in order to make informed choices on the level of support a student needs. As such, screenings are universally administered assessments utilized in determining potential challenges and areas of concern. Progress monitoring. As evidence-based instructional strategies are implemented, student achievement is regularly assessed by measuring progress, potentially necessitating a change in future instruction. This data is garnered through many means, thus providing many opportunities for students to demonstrate their learning. Data-driven decisions. Data collected on student achievement occurs through various mediums when identifying areas of strength and struggle. Data-driven decisions regarding instruction and intervention are provided in increasing intensity (i.e., tiers) based on student needs, which may change over time. Students are placed in these tiers using data, which is collected and analyzed throughout the instruction and intervention times. School psychologists are often an untapped resource. 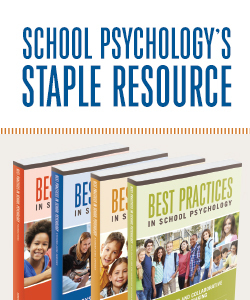 When utilized appropriately, school psychologists can help schools and districts use limited dollars more effectively while simultaneously improving school and student outcomes. As states, districts, and schools begin to consider various strategies to meet student needs, school psychologists can support the effective development, delivery, and assessment of multitiered systems of support. School psychologists can work with school leaders in the following ways. Design, implement, and evaluate a comprehensive range of interventions for students at risk for academic, social-emotional, or mental and behavioral health concerns. Collaborate with educators, parents, and other professionals to create safe, healthy, and supportive learning environments that strengthen connections between home, school, and the community for all students. Offer consultation in how to collect and analyze data that can be used in progress monitoring; help develop indicators of academic, social, emotional, and behavioral health of students; and use data to assist administrators in developing school improvement plans. Collaborate with parents and families to promote treatment integrity and improve intervention success at home and school. School improvement efforts are most effective when parents, families, and the school work together. Facilitate collaboration and coordination between the home, school, and community providers to promote student success. This handout provides an overview of MTSS in ESSA's provisions relevant to decision-makers.